Texas' genre-bending rock 'n' roller Israel Nash released his fifth studio album Lifted earlier this year, a collection that continued his tradition of creating a sonic landscape that is at once both vast and intimate – soaring and untamed at times, placid and sincerely personal at others. Lifted opens with an extended instrumental introduction before blossoming into lead single Rolling On. The track acts as the album's manifesto, an anthem of urgency, encouraging the listener to let go of yesterday's troubles and move forward with positivity. The album was recorded at Israel Nash's own studio, a Quonset hut structure called Plum Creek Sound at his home in Dripping Springs, Texas. During the process the studio became a sanctuary for Nash, a creative environment where he often reached a meditative state of escapism, creating a space where he could leave behind his downhearted feelings about the current political landscape and the bigger, existential questions those concerns raise. Being able to finally use Plum Creek Sound to its full potential, Nash set about recording found sounds and field recordings from his Texas ranch, with the aim of creating a listening experience that was almost an immersive representation of his environment. Drums played in rain collection tanks, water rushing against the limestone, frogs, crickets, and even a rattlesnake all appear throughout the record. Taking inspiration from methods pioneered by John Cage, Nash then randomized the sounds and music before rearranging them according to the I Ching (The Book of Changes). This process of experimenting, as Nash explains, was key to the making of Lifted. "It's all about finding, searching for little sparks of inspiration. It may be a sound, a groove, a colour, or even an object. Old things are inspiring. "Whatever it is, when you find it, it spreads like a conflagration that is out of your control. "It doesn't matter if you"re making a record or living your life, find these inspirations with a vigil eye and watch them change both you and your world." Accompanied by his longtime band, with arrangements by Jesse Chandler (Mercury Rev, Midlake), horns by members of Austin"s cumbia/funk compadre's Grupo Fantasma, and strings from Kelsey Wilson and Sadie Wolf (Wild Child), Nash, alongside co-producer and engineer Ted Young (Kurt Vile, The Rolling Stones), presents an album that soars with meticulously crafted, multi-hued rock and psychedelia. 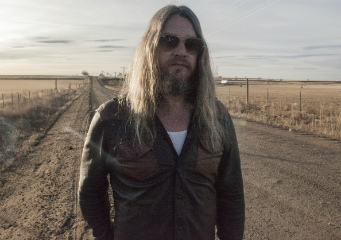 Israel Nash plays at Brighton Komedia on 29th January 2019. CLICK HERE for tickets.